What you imagine if I say the word „super car“? Lamborghini Gallardo or Ferrari Enzo? Everyone knows what this collocation means, but only few people know what it means to own that car. Main virtues of these cars are performance, design and brand. Since the first car was born, people think how to build the fastest stock vehicle. They’ve always been doing on performance improvements to be the best. And the performance tuning isn’t something new. Tuning companies are rarely satisfied with a stock performance so they often make very extreme modifications to utilize engines to their maximum. This is also the destiny of one of these super cars – Dodge Viper SRT-10 and American tuning company Hennessey Performance Engineering. The year 1994: Who doesn’t remember the famous blue Dodge Viper with tow stripes on the bodywork? The cultish sports car with maybe at that time the most powerful engine and amazing design. There wasn’t anything better to choose. As many vehicles before, also this Dodge has its successor. 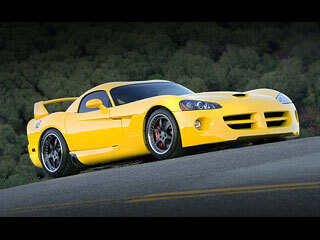 And it’s nothing less than Dodge Viper SRT10, a perfect super car with precious design and heart of the brave warrior. The four-wheel madness continues. There isn’t a place for some doubts. It has only one engine available but it’s amazing. It’s the American engine so it is huge, really huge. Under the hood we can find a 8.2 liter V10 monster producing 506 hp (372 kW) and monstrous 712 Nm of torque. This gigantic output is transmitted by a 6-speed manual transmission to the rear wheels. Its top speed is 306 km/h and 100 km/h is done in 4 seconds. So that’s the roadster with the big „R“. I think that a lot of us are asking now who’s behind the monster with almost double output. There’s only one possible answer – the American performance company Hennessey Performance Engineering (HPE) based in Houston, Texas. It was founded few years ago by John Hennessey, a president of this company. Their Works are focused on mostly exotic beauties as Dodge, Chrysler, Porsche, Chevrolet, Bentley, Bugatti etc. And the word „modification“ means “the power“. They’re main goal is to gain the most possible output from the car without some expressive styling features. This is a real performance tuning. 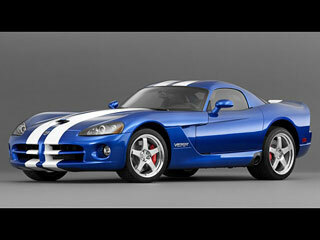 Their newest masterpiece is a new Dodge Viper SRT-10 with a double output. Maybe some of you will be disappointed, but there are no distinctive changes on the exterior. Yes, some changes were made, but nothing big. The bodykit is called VenomAero and includes some plastics of the facelift. And the front part includes the modified elongated and skewed front bumper to improve air flow and aerodynamics. It’s not very visible change at first sight, but it’s effective. The lower part was lifted to create a small, but functionally diffuser to regulate air flow under the car. Also the already massive side of the car was enhanced with extended side sills and side diffusers, openings for hot air off take from the front brakes. Very functional and pretty solution. The rear part passed only one change, but the change is extraordinary. It’s a sporting wing VenomAero Daytona that isn’t small?. It’s the perfect sporting spoiler that matches the car and i think it can’t be better. Also this makes that required double sporting character. It’s same as the exterior, so no big changes were made there. But the visible changes enhance the sporting character too. To feel comfortable as much as possible, Hennessey Performance Engineering prepared a special limited edition of luxury leather Connolly with custom embroidery and custom rugs. The safety is provided with a special five-point safety belts system. So now the high-light of today’s show – the modification of the monster’s heart. It’s nothing as chip tuning or sporting filter, it’s much more. American engines are famous for their durability and performance in stock versions with great sound. 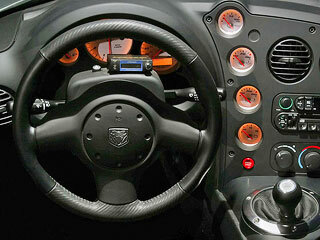 The center of everything is a 8.2 liter V10 power plant producing 506 hp. Remember the number 506. A whole modification is called Venom 1000 Twin Turbo Engine and the main goal was to change compress ratio to final 9:0:1, volume extension to 8.6 liter, two Garrett turbochargers and new bigger engine cooler. If you don’t believe, open the hood and you see two turbos and many, many chromed parts that burn your eyes. Chromed pipes and leads, engine cover plus many other nick-nacks in combination with furious black cylinders enhance the overall sporting spirit. The engine changes required also safety improvements including extreme sporting differential upgrade, more powerful and bigger Brembo brake discs and K&W lowered suspension with 2-way adjustable stainless steel coil over shocks. If it’s not enough, eye-catching two-piece 5-poked alloys with a black center and chromed rim called Hennessey Venom 7R. Their size is 19x10 in the front and 20x13 in the rear. High speeds require high-quality and steady tires. In this case the car is booted in low-tires Michelin Pilot Sport 2 (275/30YR-19 front and 335/30YR-20 rear). OK, so what’s the result of this all modifications, tuning and improvements? The power of course! And they did a great job! The maximum output is now 1000 hp (735kW) at 5000 rpm and the torque is monumental 1490 Nm at 3800 rpm yet. Our favorite 0-100 km/h run takes only 2.9 seconds! And the top speed? Take a long, deep breath...410 km/h! Any questions? Only 24 vehicles were made so don’t hesitate too much! Your opinion about Hennessey Venom 1000 Twin Turbo Dodge Viper SRT modified by Hennessey?